MFB Synth II - this is the case when you shouldn’t judge by appearance. Yes, cheap plastic elements are used for external design, but inside it is quite an adult instrument with a set of everything necessary and even more. The synthesizer is monophonic, but to create a voice, not the usual two, but three voltage-controlled oscillators (VCO) operate at once. For each VCO, you can specify the waveform (triangle, saw, square), pitch (within three octaves) and the microtuning. For a square wave, the possibility of pulse-width modulation (PWM) is provided. 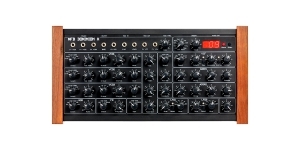 The oscillators can be modulated with an LFO or VCO3 signal. The sync mode and two types of ring modulation (multiplying VCO signals 1 - 2 or 2-3) are available. In the mixer section, three VCO signals, a white noise source and an external source input into the corresponding 1/4" jack are mixed. The voltage-controlled low-pass filter (LP VCF) uses a four-stage design with a slope of 24 dB per octave. 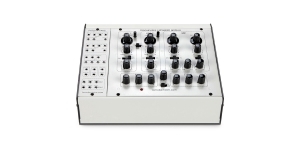 The resonance controller allows the filter to enter the self-oscillation mode. 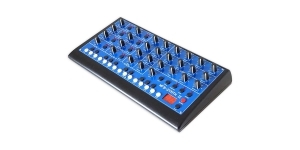 The cutoff frequency is set by the knob, and can also be modulated by an LFO or VCO signal and an independent ADSR envelope generator. The cutoff frequency can also be synchronized with the pitch of the pressed key. The Voltage Controlled Amplifier section has an independent envelope generator for which the time of attack, decay, sustain and release are provided. 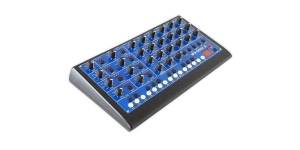 It is also possible to get it modulated by LFO and VCO signals. 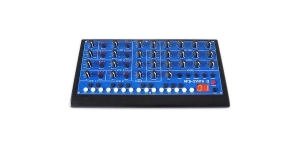 The MFB Synth II has two modulatable low frequency (LFO) oscillators with independent waveform settings, frequency and assignment for the modulation signal. LFO1 produces a signal of triangular, sawtooth and square waveforms. LFO2 - triangular, inverse and random pulse wave. 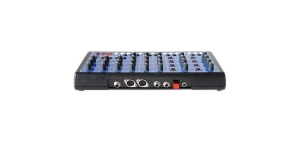 The built-in step sequencer allows you to store 25 sequences 32 steps each. 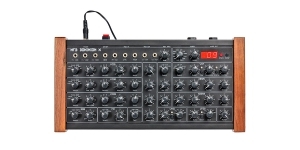 All settings of the synthesizer can be stored in one of the 49 cells of the non-volatile memory. You can also download one of the 50 factory patches. Thus, the total number of patches is 99. 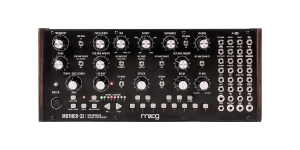 For maximum flexibility, the MFB Synth II has an additional input for the control signal (CV), which allows the synthesizer to interact with the modular synthesizer system.